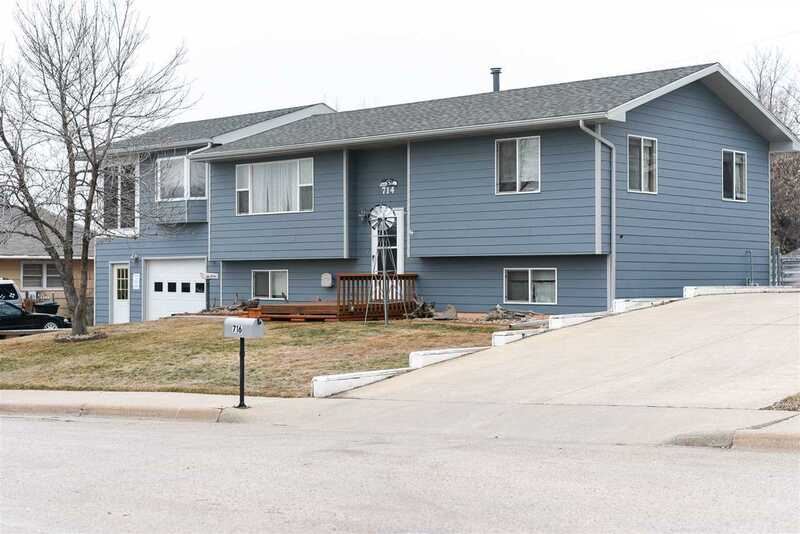 Contact listing agent Scot Munro 605-641-6482 or Heath Gran 605-209-2052 of Great Peaks Realty. Come take a look at this 4 bedroom, 2 bath home with a comfortable layout and several added bonuses! The main floor offers a dining room with deck access, and from the master suite you can step out onto the 3 season sun-porch. Downstairs, you will enjoy the family room with wet-bar. Outside, the back yard is equipped with a hot tub, and fence for privacy. The oversized drive-under garage, and storage shed add exterior storage options.